Phoenix Premium Outlets® features extraordinary savings of up to 65% off everyday on exceptional brands including: Saks Fifth Avenue OFF 5th, Polo Ralph Lauren, Kate Spade New York, Coach, and Nike. With over 90 stores in one convenient location take a break from shopping and treat yourself to a meal or quick snack at one of our grab and go dining options such as: Starbucks, Villa Fresh Italian Kitchen, Charley's Grilled Subs, and Dairy Queen. Enjoy the mountainous views of Arizona at this outdoor shopping center located within Wild Horse Pass off of I-10 at Exit 162. 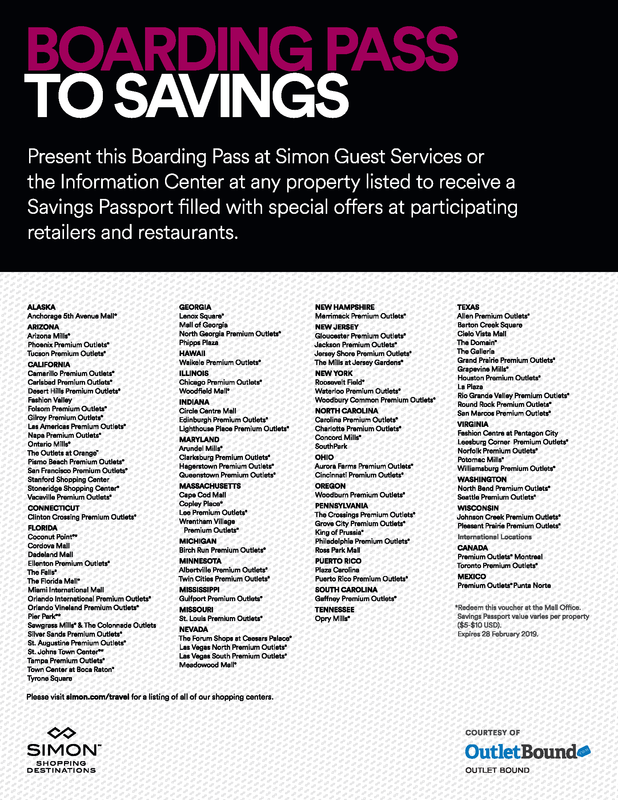 Phoenix Premium Outlets® serves the nearby communities of Chandler, Tempe, Mesa, Gilbert, and Phoenix. Also while visiting, we have even more choices in stores at our sister centers: Arizona Mills® located approximately 9 miles NW and Tucson Premium Outlets® located 85 miles SE.